We offer a premium quality of ferro aluminum alloy that are best suitable for diverse industrial usage. To form this ferro aluminum alloy, iron and aluminum are melted and mixed together. 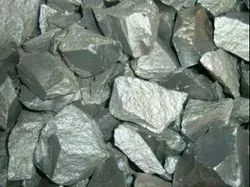 Used as an de-oxidant in steel making, the concentration of aluminum can vary in this alloy to cater varied requirements of our clients around the globe. Looking for Ferro Aluminium ?